Help your clients create the home of their dreams. Introduce the Department of Housing and Urban Development’s FHA 203k loan to them. 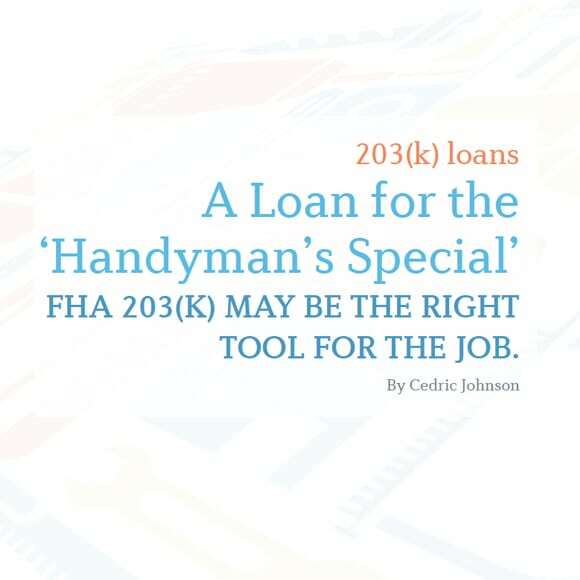 This Handyman Special (203k loan) allows a customer to purchase or refinance a property. The 203K loan lets customers finance the cost of rehabilitation with one loan and one closing. Are your buyers interested in a property that does not meet FHA appraisal standards? Do the buyers want to do more work to meet their personal needs? Since all of this can be addressed with the Handyman Special (203k loan), you might want to introduce it to them. HUD strongly encourages the 203(k) program. And the loan is now easier to close than ever before. Several simple guidelines apply to the 203(k) loan. First, the borrower must use the mortgage proceeds in part for rehabilitation and/or improvements to a property. And there is no minimum cost of repairs and/or improvements to be done. 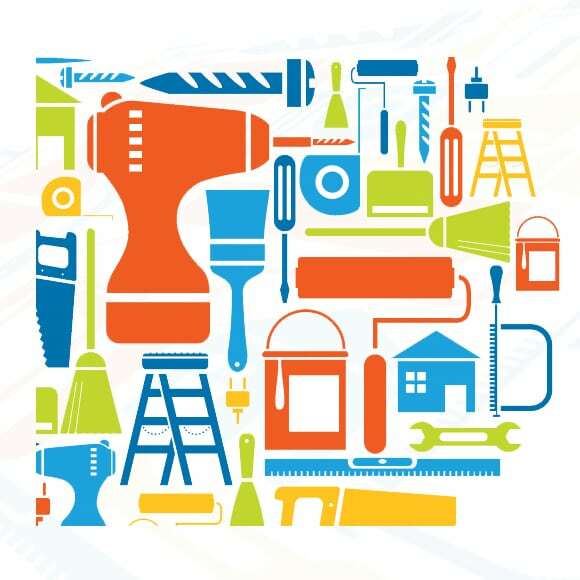 Acceptable repairs include those that may affect the health and safety of the property. Also, acceptable repairs may improve functionality and modernization of the property. A borrower may not use the funds from this program for luxury items and improvements that will not become a permanent part of the real property. So, for example, installation of a barbecue pit, bathhouse, dumbwaiter, exterior hot tub, sauna, spa, outdoor fireplace, photo mural, swimming pool, gazebo, television antenna, satellite dish or tennis court would not be permissible. Visit HomeBridge.com to learn more. The borrow may use the funds for luxury improvements. Learn more at Fannie Mae. 203(k): How Does it Work? The 203(k) program may be assumable for qualifying customers. A “mixed use” residential commercial property, if it meets certain requirements. Case by case at HomeBridge. Condos that satisfy specific guidelines. However, cooperatives are not eligible. Purchasers can create their dream home with a small down payment and minimum hassle. I’ve got answers! Please give me a call. I’d love to work with you!